A NEW PREFAB HOME ? Who doesn't wish to live in one-of-a-kind house? Every year, hundreds of thousands of new homes are built in Europe. Many of them are custom-made, unique works of fine architecture and engineering. Despite the number of successes, building a prefab wooden house is not as easy as it could be. Many give up just because they cannot find the right information from the start. Can automation help the Prefab Wooden Houses Industry to run faster and better? For the longest time, we have been looking for a modular system flexible enough to allow building different architectural solutions while remaining simple and affordable. Teokarp does just that. Can it be the one-fits-all answer we've been waiting for? We love wood and anything that is made out of it, especially if factory made. So we could not resist going to check out what was going on at the first “Wood Hackathon” ever. Innovation often comes from applying knowledge from one field to another one which is totally unrelated. This is exactly what happened with this modular wonder. The Wikkelhouse was designed and built by a small Company in Amsterdam that started up as a theatre scenery Company in 1989. 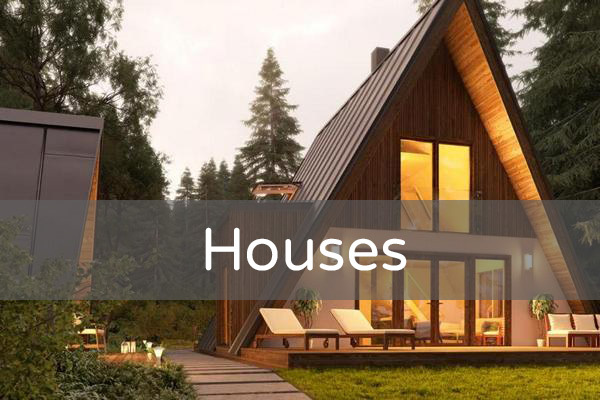 Modern Modular Homes: Dream or Reality? Over the course of the years, the way modular homes are designed and manufactured has changed considerably. The introduction of new materials, machines, technologies, made possible to build houses in a controlled environment in a fraction of the time and at a lower cost. Despite its hi-quality and affordability, is "modular" the best way to go if you want to build your own dream home? 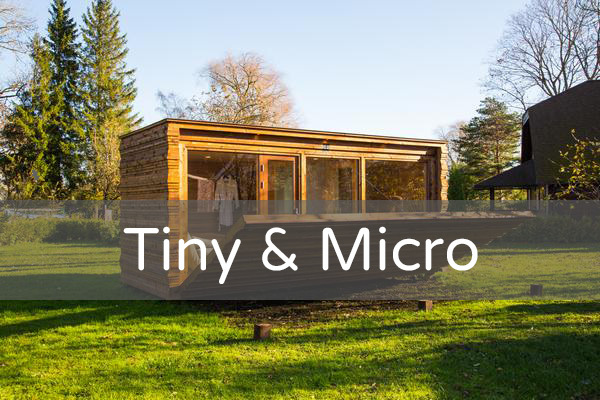 Two years ago we made an exception to our "wooden only" policy and we had an interview with people from Kodasema OÜ, a small and ambitious Company providing a clever turnkey housing solution. During the course of last 2-3 years, Airbnb has disrupted the property rental Industry. Will this innovation propagate to the Prefab House Industry? Over the years we have seen prefabricated timber houses of all shapes and kinds… but we were yet to see one that stands on its roof. “The A-frame house is an A-shaped building which, back in the Soviet era, was familiar to people as a building typology that had the roof touching the ground, or Rannapiiga. This typology is not known for its trendiness but rather for being (by square meter) at least half the price of a normal new building” explains Indrek Kuldkepp, the founder and one of the owners of Avrame. Katus.eu proudly presents the first 3D house configurator for the Tube house. The Tube house configurator lets you pick and choose between different floor layout options and material finishes. You can add a master bedroom, choose a larger kitchen or even add a second floor to the house. Back in spring, we met at Timbeco factory near Tallinn to discuss how the collaboration between the client, architect, manufacturer, and constructor contributes to the establishment of modern houses. Our panel discussion was attended by architect Tiit Sild, Madis Lobjakas and Marek Roostar from the factory, and the undersigned. The main focus was on the question how to involve all the partners right at the beginning of the process so that designing, producing and building would be more reasonable and economical. Meeting with the client and visiting the first built house purchased at katus.eu took place a bit later, at the beginning of the summer. Small prefabricated house from a company called Kodasema has been erected on the lawn in front of the Tallinn Creative Hub. It is a rather unique house with 27 square-metres of usable floor space, built-in cupboards and several surfaces for functional cross-usage (e.g. shower area is also used as a sink). I will be talking to Ülar Mark, one of the creators of Kodasema house concept, about the way they are trying to change the world while also hoping to shake the foundations of housebuilding industry.